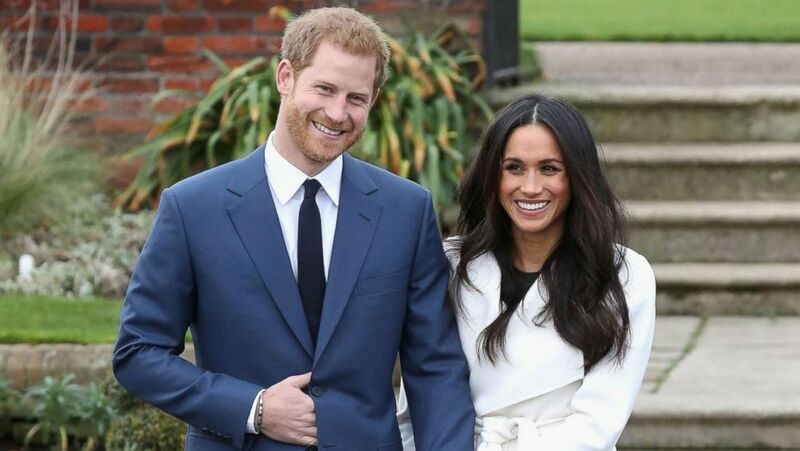 Harry, 33, and Markle, 36, plan to wed in May 2018. 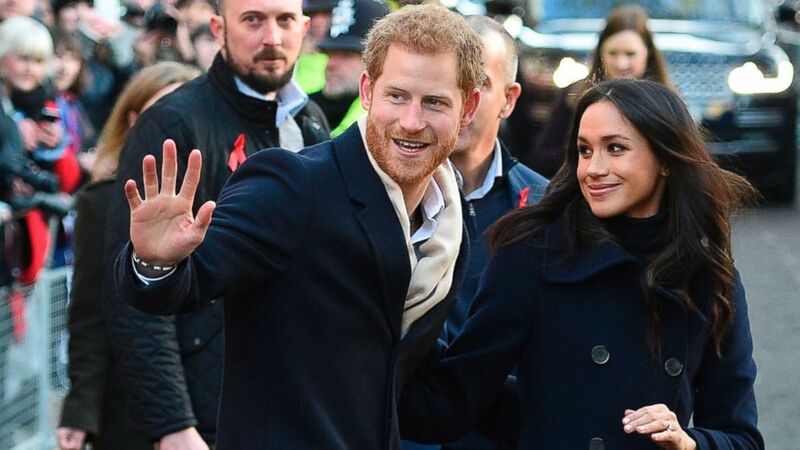 Prince Harry and Meghan Markle were greeted with cheers today as they stepped out together to mark World AIDS Day in their first official event as a newly engaged couple. 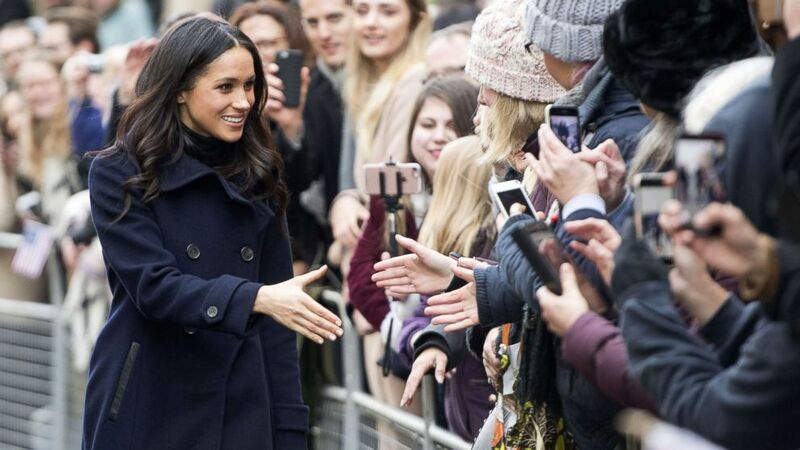 In typical British fashion, Markle, 36, joined Harry, 33, for her first royal walkabout, greeting the people of Nottingham and getting used to a role that will become a part of her life when she joins the royal family. (Oli Scarff/AFP/Getty Images) Britain's Prince Harry and his fiancee US actress Meghan Markle greet wellwishers on a walkabout as they arrive for an engagement at Nottingham Contemporary in Nottingham, England, Dec. 1, 2017 which is hosting a Terrence Higgins Trust World AIDS Day charity fair. Supporters in the crowd shouted Harry's and Markle's names and waved both U.S. and U.K. flags. (REX/Shutterstock) Meghan Markle greets the crowd as she and Prince Harry visit the Terrence Higgins Trust World AIDS Day Charity Fair in Nottingham, England, Dec. 1, 2017. 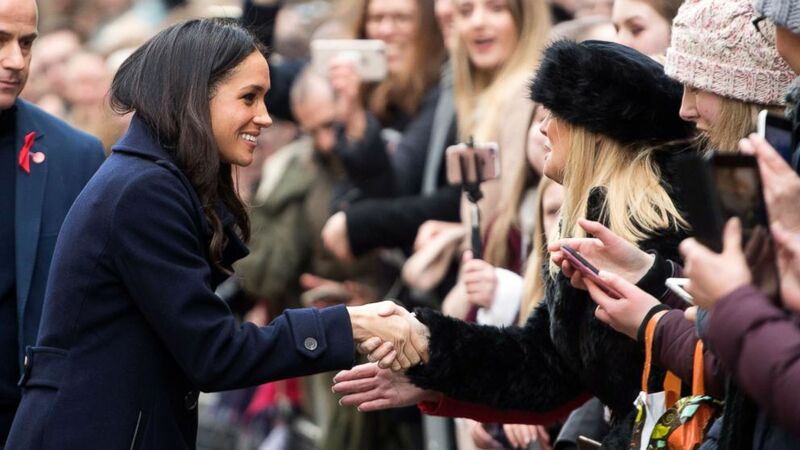 (Newscom) Meghan Markle interacts with the crowd as she and Prince Harry visit Nottingham Comtempory in Nottingham, England, Dec. 1, 2017. (Tim Rooke/REX/Shutterstock) Prince Harry and Meghan Markle visit the Terrence Higgins Trust World AIDS Day Charity Fair in Nottingham, England, Dec. 1, 2017. (Oli Scarff/AFP/Getty Images) Britain's Prince Harry and his fiancee Meghan Markle greet well wishers as they arrive for the Terrence Higgins Trust World AIDS Day charity fair in Nottingham, England, Dec. 1, 2017. Harry, 33, and Markle, 36, visited a Terrence Higgins Trust World AIDS Day charity fair in Nottingham and met with representatives from local charities and organizations that support people living with HIV/AIDS and work to end the stigma associated with the disease. By making their first royal visit on World AIDS Day, Harry chose to share with Markle a poignant reminder of the work of his mother, the late Princes Diana, at their very first event meeting the British public. Harry has followed in Diana's footsteps in working to end the stigma around HIV/AIDS. Diana was also a supporter of Terrence Higgins Trust and Harry and his brother, Prince William, have carried on Diana's support. (Nigel Roddis/EPA) Britain's Prince Harry and his fiancee, Meghan Markle visit the Terrence Higgins Trust World AIDS Day charity fair at the Nottingham Contemporary, in Nottingham, England, Dec. 1, 2017. Terrence Higgins Trust, the U.K.'s leading HIV and sexual health charity, is part of the Royal Foundation of the Duke and Duchess of Cambridge and Prince Harry. Markle will become a patron of the Royal Foundation, which serves as the main vehicle for their philanthropic activities, after her May wedding to Harry. Harry's charity, Sentebale, helps vulnerable children in southern Africa struggling with HIV/AIDS. He has campaigned tirelessly for a greater understanding of and funding for the disease. Harry, who designed Markle's engagement ring with diamonds from Diana's personal jewelry collection, said his fiancée and his mother would have been "thick as thieves." (Chris Jackson/Getty Images) Prince Harry and Meghan Markle pose for photographers during the announcement of their engagement at the Sunken Gardens at Kensington Palace on Nov. 27, 2017 in London. "Oh yes they'd be thick as thieves, without question," Harry said Monday, when the couple's engagement was announced. "I think she would be over the moon, jumping up and down, you know so excited for me, but then, as I said, would have probably been best friends - best friends with Meghan." Harry and Markle later visited a school in Nottingham and spent time with students and staff involved with Full Effect, a program supported by the Royal Foundation that provides mentorships and training to steer kids away from youth violence and crime. 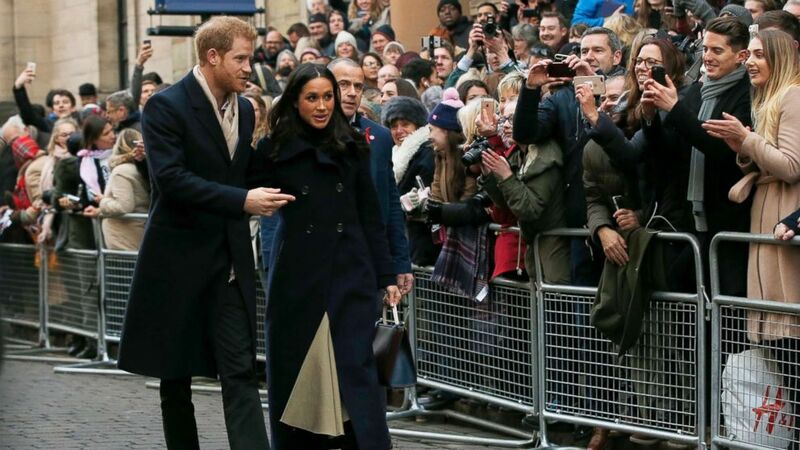 Markle, an actress who most recently starred on the TV drama "Suits," sat alongside Harry as they watched students perform a "Hip-Opera." 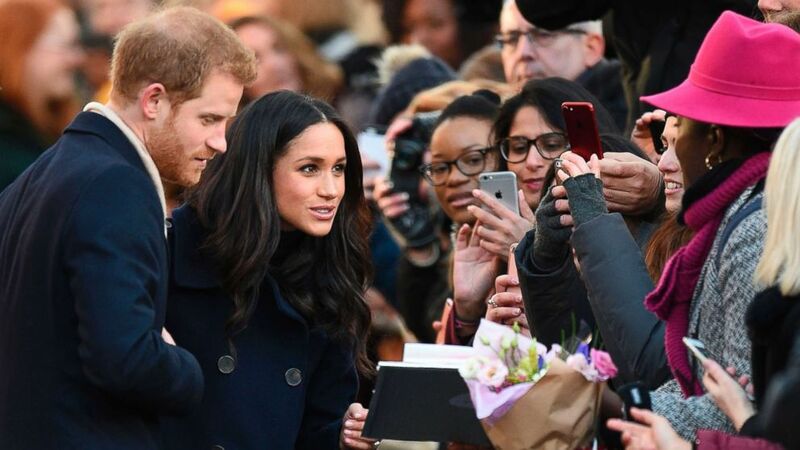 The couple met the cast on stage after the performance and students gave Markle flowers as she and Harry departed the school. "Prince Harry has spent a significant amount of private and public time in the city and His Royal Highness is looking forward to introducing Ms Markle to a community that has become very special to him," Kensington Palace said in a statement prior to today's events in Nottingham. 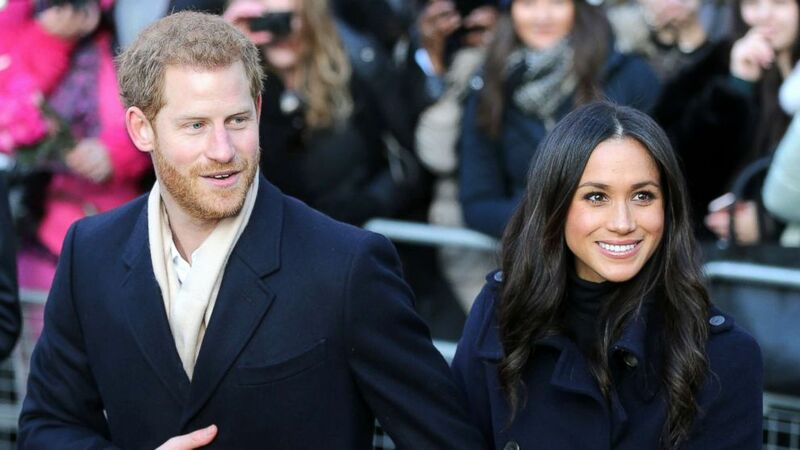 Markle, who recently moved to the U.K., said Monday in the pair's first sit-down interview as an engaged couple that she is looking forward to this "new chapter" in her life, particularly the charitable work. (Alastair Grant/AP) Britain's Prince Harry and his fiancee Meghan Markle arrive at the Terrence Higgins Trust World AIDS Day charity fair, in Nottingham, England, Dec. 1, 2017. 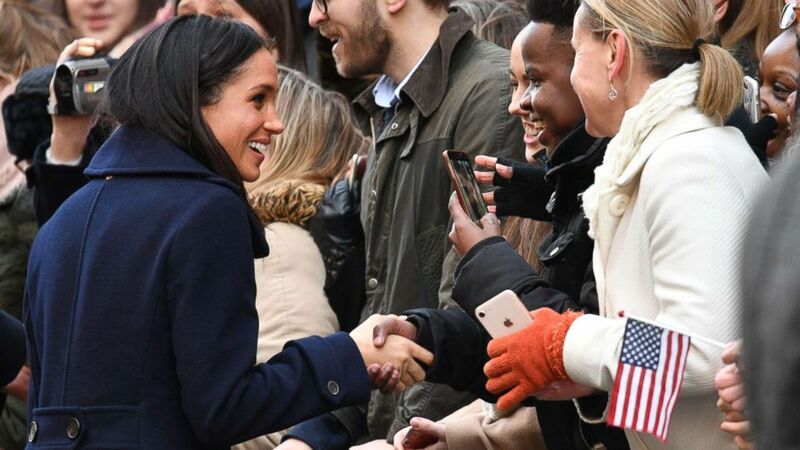 "We realized once you have access and a voice that people are willing to listen to, with that comes a lot of responsibility, which I take seriously," Markle said. "And now being boots on the ground in the U.K., I'm excited to just really get to know more about the different communities here, [and learn about the] smaller organizations who are working on the same causes that I've always been passionate about under this umbrella." Harry said in the same interview he is looking forward to doing charitable work with Markle as a "team." "We're a fantastic team, we know we are, and we'll - we hope to, you know, over time try and have as much impact for all the things that we care about as much as possible," Harry said. Harry and Markle will wed in May at St. George’s Chapel at Windsor Castle.